Archive by category "Pastoral Letters"
Several Clergy from our Harrisburg and Lancaster Convocations attended the Commonwealth Interfaith Service: Prayers for Justice and Peace to be held on Monday, May 7 at 6:00 p.m. The location was the Beth El Temple, 2637 Front Street, Harrisburg. This was the 10th Anniversary of the Interfaith Service. 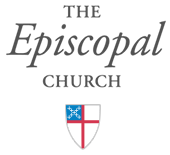 To read Bishop Scanlan’s letter and resources for diocesan Clergy, click here. Clergy Opportunities There are a number of churches in the northern part of our diocese that are in need clergy coverage for services. If you are interested, please contact the Rev. Canon Dan Morrow, dmorrow@diocesecpa.org. For Bishop Scanlan’s Christmas Message, click here.